Kolkata is a an Indian city still holding a strong cling to the British times, see the buildings in old city, the monuments like Victoria Memorial or the oldest church St. Paul’s Cathedral. This British touch in the city makes it one of the must visit destinations in the country and travelers from all across the world include it in their itinerary of India tour. However, there is a way to explore a city or tourist destination and the most exciting ay to visit Kolkata is living like a local. How? We have got you back friend! If you are up with any plans to visit the Indian city, here is a perfect way to live like a local in Kolkata. The area of this lakeside park was a medical camp of the Allied Forces during World War II which was changed into one of the best green spaces in Kolkata over time. With proper manicuring and maintenance, the park attracts the joggers and yoga practitioners in the area to start their day with greenery. Life in Kolkata starts with a pleasant morning walk and you can do the same and experience a different side of living in a metropolis. While jogging along the paved tracks of the park, you will come across different groups of folks – some involved in their daily yoga sessions, some young groups into music rehearsals and some simply engrossed in bird-watching by the lake. Do you know a friend from the school or your graduation college who is living in the city? If you can recall a name back from the memory lane, it could be a great time to visit them after long years. Exploring Kolkata with old friends can bring you an exceptionally beautiful experience. Ask them to come for an evening by the riverbanks of Hooghly. Imagine talking about those old days walking past the leafy promenade and alluring the magnificence of the river. You can even walk across the Howrah Bridge with friends chatting and munching snacks. Do not forget to click pictures, after all it’s a meeting due since a long time. On a Saturday night, hit the nightlife central of Kolkata – Park Street. Put on the best dress in your wardrobe and set out to have a happening night in the clubs of Park Street. If you are not a clubbing person, just have a few drinks at OlyPub with friends. Take a short walk to Peter Cat and have a hearty dinner before ending your night at the live jazz and rock sessions of Someplace Else. It is one of the best live centers in the city. So, you have booked last minute flight to meet an old friend in Kolkata just for the weekend? Well, what could be better than spending the night over a couple of drinks in a live music bar in Park Street! Your travel experience of Kolkata can never be complete without tasting its lip-smacking street food. Go out for lunch at Dacres Lane, the heart of business district in the city. You will find a lot of office goers having lunch at the roadside stalls. Choose from the wide range of food items available on the street eateries – from wok-noodles to crispy hot parathas, there’s everything. One of the favorite of the locals is a plate of mutton with toasted bread and papaya stew. Imagine the cost – it’s below 100 INR and that’s less than $1.50! IN the evening, head on to New Market for delicious evening snacks like Chowmein, Roll, Chaat (Spicy Indian street food), Puchka, Falooda and the list goes on. Autumn is the perfect time to explore Kolkata. You will get to witness the grandest festival of Bengal – Durga Puja. It is a 4-day carnival marked by extraordinary Statues of Goddess Durga and massive public display. The four-day celebration is followed by Kali Puja which adds up to the excitement of the folks. It is the Calcutta (Kolkata) version of Diwali, the festival of lights. Now considering the climate, this is the time when the weather is calm and pleasant as it is the onset of winter and the heat subsides greatly during autumn. One of the best ways to explore Kolkata is traveling in the trams. It is the traditional mode of transport which is still popular around some areas of the city like Dharamtala (New Market) to College Street and some parts of the Old city. It is a leisurely delight as you roll down the road admiring the city’s lifestyle in slow motion. Take the Heritage Tram and stroll past the parks of Maidan in the peaceful North Kolkata. Note: Avoid visiting Kolkata during monsoons as the British drainage system leaves the city in pools of water after a few hours of rain. However, if you have an important meeting, you need to book economic or business class flight despite the season of heavy downpour. This city is great fun when you visit like a local. What stops you now? 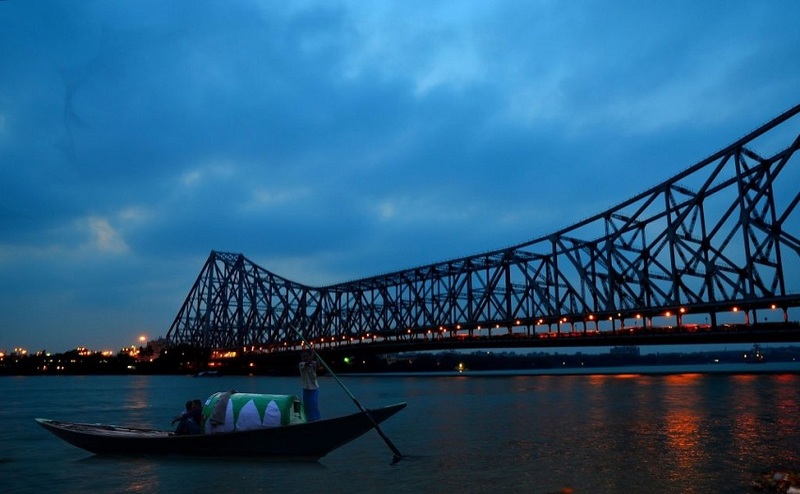 Book cheap flights to Kolkata right away!